Just because a cat calls the indoors home, doesn’t mean her food can’t be natural. Made with real chicken and turkey, this adult formula has a taste cats love while still helping promote a healthy weight. 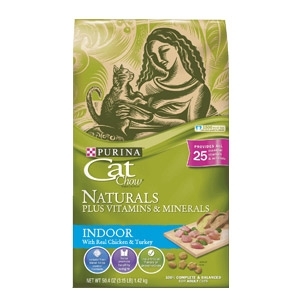 It’s wholesome, natural nutrition suited to the unique needs of your cat’s indoor lifestyle.